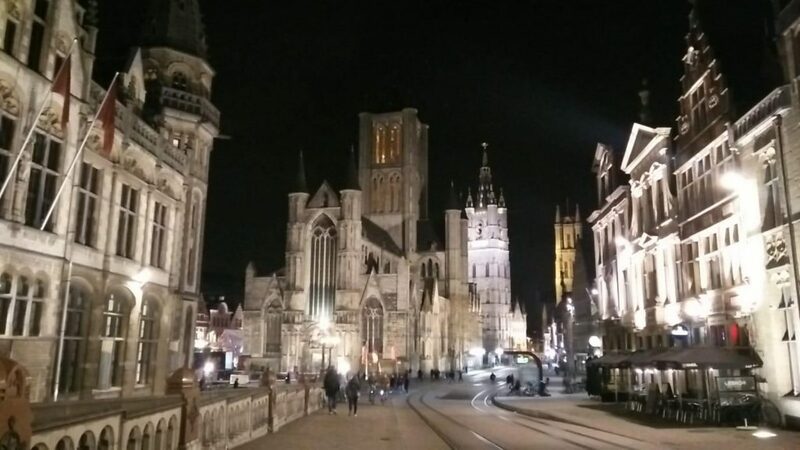 Sebastian Pietz reports about this year’s SETAC YES Meeting (= Society of Environmental Toxicology and Chemistry’s Young Environmental Scientists Meeting), which was held in Ghent, Belgium, from February 5-10, 2019. The YES Meeting is – as its name suggests – the perfect opportunity for young environmental scientists to get first insights into scientific conferences and gain experience in presenting own research in front of peers. Since this meeting is organized by young scientists, it is specifically adapted to the needs of students, making it a unique event compared to larger meetings. 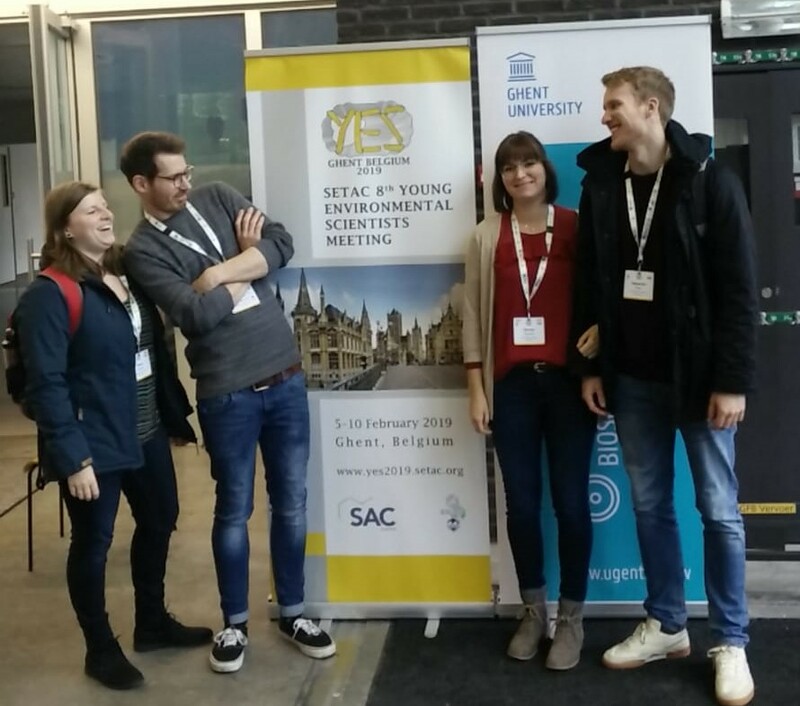 And while we are talking about advantages of the YES Meeting, it should not be missed that SETAC financially supports the meeting, waiving fees and providing travel grants – a fact that may be highly appreciated if you are a student. After submitting abstracts and getting invited, four MSc and PhD students from Landau travelled to Ghent to attend the meeting. Right from the beginning, the atmosphere was very friendly and relaxed. Registration and a short opening ceremony were followed by a reception and quiz with free drinks and snacks – a first opportunity to get to know other participants. The first “real” day of the conference was a workshop day, focusing on risk assessment and the process from test results to decision making. Although I think risk assessment can sometimes be a tough topic because of its complexity and all the policy involved, the three speakers from different organisations (representing authorities, consulting, and university) found a way to make it a quite interesting day. Especially the talk of Prof. Lynch from the University of Birmingham helped me to get new insights on the usage of electronic notebooks and how they may aid with experimental design to capture data in the most efficient way. 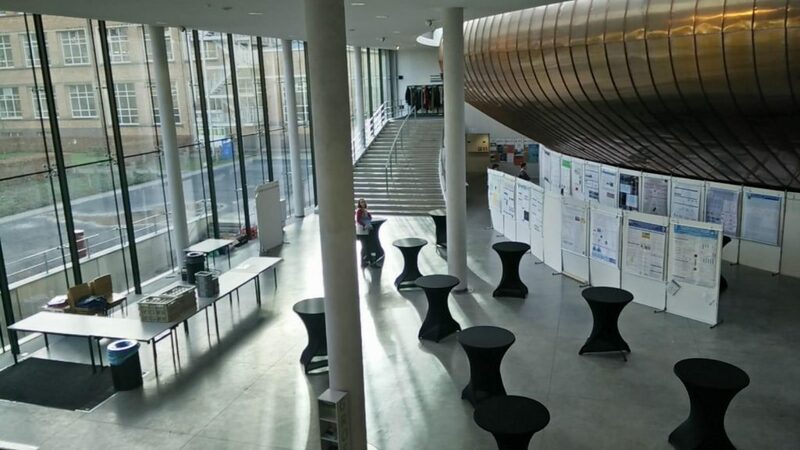 Later on, a job corner event was organized, where everyone had the chance to meet potential employers and to get an overview in which fields of work ecotoxicologists may be needed. Furthermore, three career talks were held during the conference, in which representatives of a company, an NGO and the University of Ghent talked about their professional careers and how they ended up with their respective organisations. All of these talks were very interesting and informative, at times funny and definitely one of the highlights during my time in Ghent. Also, the audience was given the chance to ask questions (e.g. ask for advice or about a personal opinion) after each talk, which seems to me as a very rare opportunity. 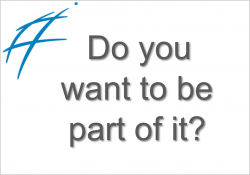 Getting advice from people who have already made a name for themselves, may potentially be a difference maker, particularly when you are on the verge of making your entry into the job market or getting an interview. On the evening of the workshop day, there was also a pub crawl scheduled for three or four pubs. Again, it was a great environment to meet other participants and everyone seemed to have a good time – at least I did! As Belgium is known to produce hundreds of different beer types, we definitely had some fun trying a small assortment of beers at the pub. The following three days of the conference consisted of platform and poster presentations as well as a training course and more social activities. The former two covered a wide range of topics (i.e. microplastics, nanomaterials, terrestrial and aquatic ecotoxicology, climate change, engineering and sustainability, risk assessment, modelling, analytical chemistry and genetics) and I was quite impressed with the overall quality of the presentations and posters. My talk was scheduled for Saturday, which was good, since I was asked on short-notice to fill in for someone and really needed the time to prepare my presentation. 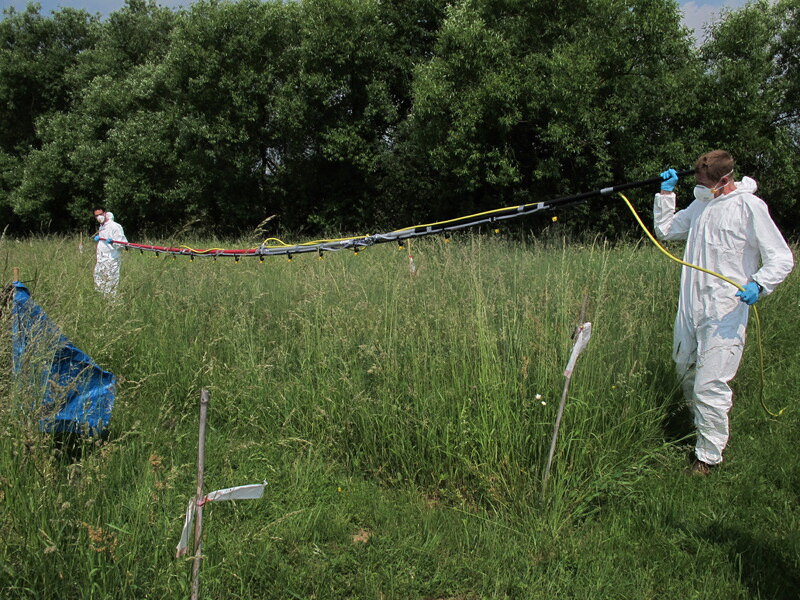 Although I was a little nervous at the beginning – which is normal I guess – everything went well and I was really happy with my decision to prepare a talk after all. I am very confident that I will benefit from this experience in the future. All participants could choose among different training courses and I decided to attend a course giving an introduction to simple effect modelling. A very useful introduction into toxicodynamic-toxicokinetic (TK-TD) modelling was provided by the lecturer, Dr. Jager, and I think it was a nice one-day experience. On the evening after the first platform and poster presentations, all participants met for another social at a local club. As for the previous events, the atmosphere was good and everyone seemed to enjoy the party. Unfortunately, I couldn’t stay until the end, since I had to go on with preparations for my talk. On the last day of the conference, a short closing ceremony was followed by some farewell drinks. 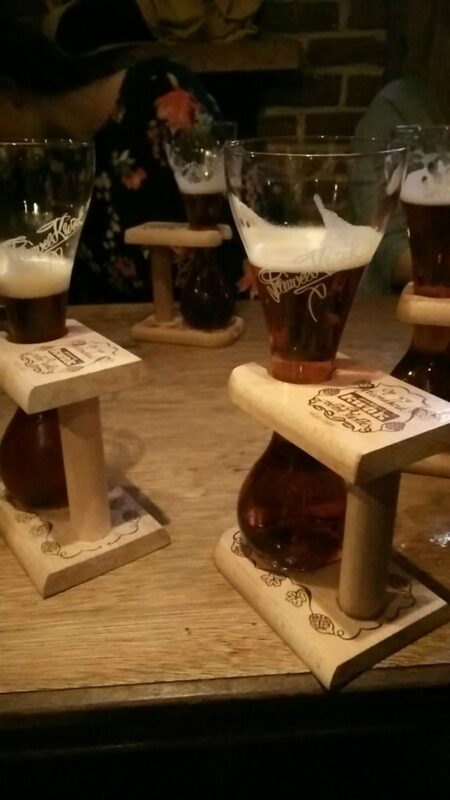 It was a nice get together at the conference venue and later on some of us decided to go to a pub one last time. Since everyone had already given their presentations, the atmosphere was very relaxed and it was a perfect ending to this conference. We had a great time and learned a lot. If you are a young researcher in environmental sciences, I would definitely encourage you to take part in one of the future YES meetings. 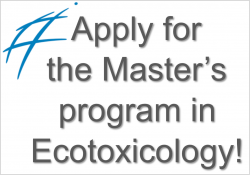 This entry was posted in Workshop/Meeting/Summer School and tagged Conference, ecotoxicology, environmental science, risk assessment, SETAC, YES Meeting on March 18, 2019 by Ve.